New designs available for purchase! Hassle and copyright free, ready to print in 24hs! The Dragons Castaway Series by B. Urich. Reeling from a devastating loss Jake McCall takes refuge in the Texas hill country hoping to find some peace. Tranquility however, is the last thing that fate has in store for him. Caught up in a violent storm Jake finds himself a castaway in another world where social classes are set in stone and powerful dragon lords use their riders to enforce their will. Out of the frying pan into the fire, Jake finds himself in the center of a whole new storm as he becomes the guardian of newly born, twin dragons. He vows to protect his new charges but by riding them, he has broken an old taboo, a privilege that the high nobles of his world jealously guard. As Jake clashes with his new world, a group of dragon rider cadets is sent to investigate, one of whom hides a dangerous secret of their own. Wyena is the proud daughter of a noble house of riders but as she is female she is barred from riding. Informed that she has had her hand arranged in marriage she rebels and attends academy in her cousin’s place. But jealousy runs hot amidst the riders and as tensions rise, she may have to protect more than just her pride. Jake’s wild antics have served him well in the past, but a dangerous new enemy has entered the fray and Jake will have to call upon every trick in his arsenal to make sure that this dangerous pursuit doesn’t cost the both him and Wyena their lives. This is the second book in the series Lucifer’s Clock by T. Hayden! Angelica and Michael are finally together but how long will it last. With her Lucifer’s interference and her coming to grips with newfound truths, Angelica will face her greatest fear, the arrival of the beast. Is she strong enough to fight or will she succumb to the beast? Monday starts off my self publishers networking posts! I’m starting this week with cover designers! 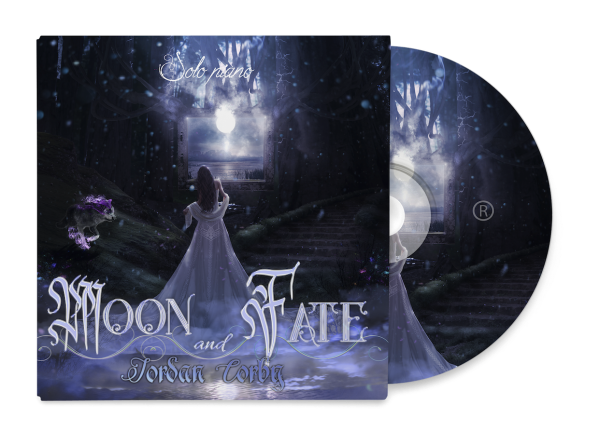 My first cover designer I want to share is JESSICA DUECK, owner and artist of StarsColdNight! Jessica is based in Paraguay, but takes orders internationally! I have had an absolute blast working with Jessica Dueck on the cover of my fourth novel in The Devils Curse series, ”Devils Ascension”! You will be seeing her name in the credits in my cover reveal video soon! She has been very open to changes I have asked for, her response time is speedy and her suggestions are always helpful in helping you notice things you may have not at first with your cover and how it will relate to your story. This work can be interpreted in so many ways, how do you see it? Is it Damned love, forbidden love or simply unforgettable even after death? Like a death grip vice on my scattered brain. What’s lost is found, right by your side. Like a bomb that ticks when my heart clicks. Black veil brides – My vow. There’s no peace of mind. Papa roach – born for greatness. & Within Temptation – Dangerous mind. I made this one almost a year ago, I dont know what happened but now it feels right to post it. Book cover for Lucille Moncrief upcoming release on June 30th! Art Prints, Stationery Cards, iPhone & iPod Cases, iPad Cases, Laptop & iPad Skins, T-shirts, V-neck T-shirts, Baby Clothes, Throw Pillows,Tote Bags, Wall Clocks, Mugs, Rugs, Duvet Covers, jewelry, chains, boxes, containers, glasses, and more! Metallica – The unnamed feelings. With all your love and glory. so how could I Expect them to believe in just a girl? And I am not scared.